Paleo nutrition and fitness expert Grant Hill and clean eating enthusiast Kayla Kulans join our host Dietitian Cassie along with special guest co-host and registered dietitian Laura Acchione today in Episode 108 of "Low-Carb Conversations With Jimmy Moore & Friends!" Living healthy in the real world takes an inordinate amount of strength, resilience, and perseverance through what is arguably the most challenging nutritional environment human history has ever witnessed. Avoiding the food-like product landmines that tempt us with tantalizing smells and tastes is a daily battle, but one that can be conquered triumphantly with the right kind of education and encouragement to keep you going strong. That's what we try to do here on "Low-Carb Conversations" each and every Friday offering up some knowledgeable opinions about the various health headlines of the day with a very distinctive Paleo, primal, low-carb, and real food perspective. If you like what you're hearing and gaining some confidence in your own healthy lifestyle change, then considering supporting our efforts. 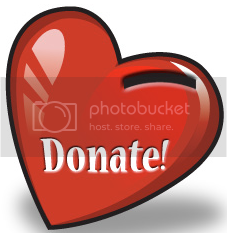 CLICK HERE to share your generous donation of ANY amount to help keep us on the air. THANK YOU SO MUCH! Our co-host Dietitian Cassie invites on her fellow RD Laura Acchione from "The Sassy Dietitian" to serve as her guest co-host welcoming in guest friends Grant Hill from "Paleo Nutrition Certified" and Kayla Kulans to get their thoughts and ideas about some of the most recent health headlines. Listen in as Cassie, Laura, Grant, and Kayla discuss how to do a Ramen Noodle Cleanse (SERIOUSLY! ), the truth about dairy and how you can ditch it from your diet, the beers you probably don't want to be drinking anymore, scary truths about pizza that you may want to know about before taking another bite, and the 13 biggest nutrition and food myths that still pervade our culture. Plus, as always our friends will share their best nutritional tips at the end of the show. So pull up a chair, grab a cup of coffee and let's talk! Paleo blogger and cookbook author Tammy Credicott and health enthusiast Steve Parke join our host Dietitian Cassie along with special guest co-host and registered dietitian Eliana Witchell today in Episode 107 of "Low-Carb Conversations With Jimmy Moore & Friends!" It's the special day each week that we set aside to take a closer look at some recent health headlines from a low-carb, Paleo, and real food perspective. There are so many voices out there opining about what you should think about diet and healthy living, but it's good to get educated thoughts and ideas from various people in the alternative nutritional health community. It can get nauseating hearing a monolithic message about health from mainstream news sources. But we are committed to bucking that trend and giving you the "other side" of these stories so you can draw your own conclusions about what these headlines mean for you. 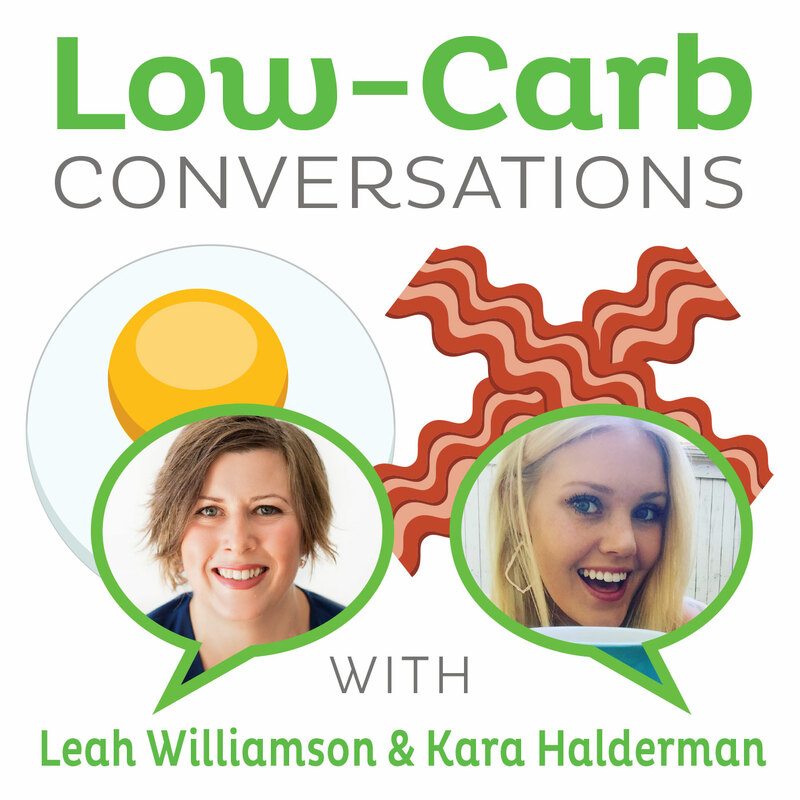 If you like what you hear and want to help support us in our efforts here at "Low-Carb Conversations," then CLICK HERE to make a donation to keeping this show on the air. THANK YOU SO MUCH! Jimmy Moore is steadily making progress on his highly-anticipated August 5, 2014 book release Keto Clarity and can't wait to get back to podcasting again. But in the meantime, our co-host Dietitian Cassie is still doing a spectacular job choosing some pretty amazing special guest co-hosts and today is no different as she welcomes in a real foods-based RD from Toronto, Ontario named Eliana Witchell. These two incredible registered dietitians are joined by guest friends Paleo cookbook author Tammy Credicott from "The Healthy GF Life" (author of Make-Ahead Paleo: Healthy Gluten-, Grain- & Dairy-Free Recipes Ready When & Where You Are, Paleo Indulgences: Healthy Gluten-Free Recipes to Satisfy Your Primal Cravings, and The Healthy Gluten-Free Life: 200 Delicious Gluten-Free, Dairy-Free, Soy-Free and Egg-Free Recipes) and Steve Parke who doesn't have a website or any social media pages, but has so many great things to share as you'll hear in today's episode. Listen in as Cassie, Eliana, Tammy and Steve share their thoughts on why Naked Juice isn't as natural as you might think, a new marketing ad from Mazola claiming canola oil is better than olive oil, a new study stating higher intake of fruits and vegetables will help you live longer, why almost everything you've ever been told about unhealthy foods is probably wrong, and so much more. Plus, we've got a great recipe from Tammy at the end for Prosciutto Olive & Sundried Tomato Turkey Burgers as well as other health and cooking tips just for you. It's time to pull up a chair, grab a cup of coffee and let's talk! - Tammy Credicott from "The Healthy GF Life"
- AJCN STUDY: Phytosterols that are naturally present in commercial corn oil significantly reduce cholesterol absorption in humans. Low-carb diet enthusiast John Pierce and Paleo blogger Ciarra Hannah join our host Dietitian Cassie along with special guest co-host and registered dietitian SaVanna Sims, RD today in Episode 105 of "Low-Carb Conversations With Jimmy Moore & Friends!" What a show we have in store for you today featuring more of our great friends from the low-carb, Paleo, and real food community. There's no other podcast out there right now that gives you such instant access to educated opinions and viewpoints from such a wide variety of voices week after week on the latest health headlines of the day. Although our co-host Jimmy Moore is still away for a big longer finishing up his next book Keto Clarity slated to release on August 5, 2014, this podcast continues on strong thanks to the faithful support of YOU our listeners. If you like what you hear and haven't yet showed your financial support for "Low-Carb Conversations," then won't you consider doing that? CLICK HERE to make your donation of any amount that will help us keep sharing this amazing podcast with you throughout 2014 and beyond. THANK YOU SO MUCH! Our lovely and talented host Dietitian Cassie has once again tapped into her great Rolodex of contacts to find a very special guest co-host to join her in fellow registered dietitian SaVanna Sims, RD from "The Nutrient Dense Dietitian" blog as well as two amazing guest friends in low-carb diet supporter John Pierce and Ciarra Hannah from the "Popular Paleo" blog. Listen in as this foursome tackles some of the most recent health headlines, including the lasting metabolic impact of a crappy carbage breakfast on kids, a new study that questions the role of saturated fat in heart disease, how standing up at your job can affect your blood sugar levels, some rather surprising reasons why Americans are obese, why most of the things we've been told about "unhealthy" foods is just plain wrong, what we can all learn from the Paleo diet whether we love it or hate it, and so much more. We've got a good show in store for you today, so pull up a chair, grab a cup of coffee and let's talk! Registered dietitian and real food blogger Courtney Locklear and professional Paleo chef Emily Drews join our host Dietitian Cassie along with special guest co-host and registered dietitian Denine Rogers, RD today in Episode 105 of "Low-Carb Conversations With Jimmy Moore & Friends!" We've got another look through the latest headlines today on this listener-supported podcast that stays on the air week after week because of the generous donations of our wonderful listeners like YOU! If you'd like to join in on the fun, then simply CLICK HERE and make a donation of any amount. Your support is greatly appreciated. While Jimmy is still away writing his next book Keto Clarity, our host Dietitian Cassie is joined by her special guest co-host Denine Roger from "HEPSA Living Healthy" along with two amazing guest friends Courtney Locklear from "The Healthy Serving" and Emily Drews from "Mindful Meals Personal Chef". Listen in as Cassie, Denine, Courtney and Emily discuss their thoughts about whether our meat obsession will lead to the end of Paleo, the World Health Organization recommending limiting sugar intake for health, the nine foods you should never eat again, the problem with antibiotics in our food supply, and how you can distinguish between the good carbs and the bad carbs. We've got so much to share, so pull up a chair, grab a cup of coffee and let's talk! - Denine Roger from "HEPSA Living Healthy"
- Courtney Locklear from "The Healthy Serving"
- Emily Drews from "Mindful Meals Personal Chef"
Paleo recipe blogger George Bryant and Australian low-carb, high-fat diet naturopath Jennifer Matthews join our host Dietitian Cassie along with special guest co-host registered dietitian Andy Bellatti, RD today in Episode 104 of "Low-Carb Conversations With Jimmy Moore & Friends!" This podcast is listener-supported by design--we want to serve up for you each and every week a healthy dose of perspectives that you just won't get anywhere else. Featuring opinions on the health headlines of the day from your favorite Paleo and low-carb bloggers, it is the goal of this podcast to arm you with information that you can use when someone asks you why you choose to eat the way you do. Slowly but surely the rest of the world will come around to a real foods-based nutritional plan that is customized to the individual. Until that happens in a massive way, we'll keep doing our thing here at "Low-Carb Conversations" to encourage and uplift you in your own journey. CLICK HERE to help us keep that momentum going strong in the months and years to come. THANKS SO MUCH FOR YOU SUPPORT! Our host Dietitian Cassie invited on a very special guest co-host in Las Vegas-based registered dietitian Andy Bellatti, RD. Andy started an organization called Dietitians for Professional Integrity designed to hold the dietetic profession to higher standards in their financial and ethical sponsorship relationships with companies like Coca-Cola, PepsiCo, Kellogg's, and other Big Food giants. He believes, just as Cassie does that "the American public deserves nutrition information that is not tainted by food industry interests." Listen in as these two talk passionately about this incredibly important concern in the field of dietetics. Today's guest friends are George Bryant from "Civilized Caveman Cooking Creations" and Jennifer Matthews (aka Naturopath Jen) from "All Things Low Carb High Fat" sharing their thoughts with Cassie and Andy about some recent health headlines, including the nutritional health lessons for dietitians that a chip maker had to share, how Oscar Meyer is trying to reach the adult population with one of their traditionally kid-based food products, the surprising end to the debate over margarine vs. butter, the problems with the "food" available for sale at Wal-mart, and so much more. Plus, don't miss the very end of the show to hear some delicious recipes and cooking tips from these amazing guests. It's time to pull up a chair, grab a cup of coffee and let's talk! 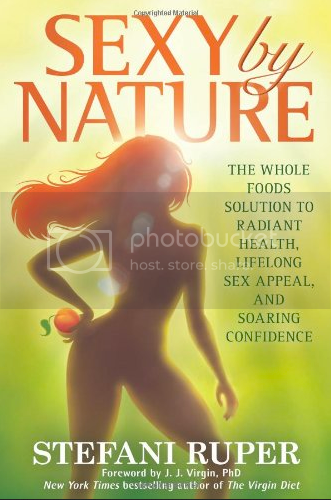 - George Bryant from "Civilized Caveman Cooking Creations"
- Jennifer Matthews (aka Naturopath Jen) from "All Things Low Carb High Fat"
- Naturopath Jen's "The Wellness Empire"
- Margarine Of Error: The War Against Butter is Over. Butter Won. - How Many Of The Foods Sold At Wal-Mart Would Be Banned By Whole Foods? Real food business owner Akshay Arabolu and vegan-turned-Paleo blogger Kristen Suzanne join our host Dietitian Cassie along with special guest co-host, personal trainer, fat loss expert, and health podcaster Sam Feltham today in Episode 103 of "Low-Carb Conversations With Jimmy Moore & Friends!" Do you like hearing all the great opinions from our panel each week examining the health headlines of the day through the prism of low-carb, primal, and Paleo? Then won't you consider supporting us with your financial donations to help us keep this podcast going. We are grateful for the faithful support of our amazing listeners and you can CLICK HERE to be a part of the fun we have here week after week. THANKS SO MUCH FOR YOU SUPPORT! Today, Dietitian Cassie invites on Sam Feltham from "Smash The Fat" to be her special guest co-host along with guest friends Akshay Arabolu from "Love Me Butter" and Kristen Suzanne. They first discuss the SECRET HEADLINE Girls who are obese at 11 'get lower GCSE results': Effect of weight can bedifference between C and D grade and then discuss various health headlines, including the meat and dairy is as bad as smoking study, the proposed changes to the nutrition facts label, Dr. Mark Hyman's 10-Day Detox Diet appearance on Dr. Oz, the relationship between what we eat and how we feel, and Dr. Eric Westman and his diabetes patients who improved their health with a low-carb diet. Plus, don't miss Kristen's Paleo Mexican Tuna Salad recipe and Akshay's Roasted Chicken recipe at the end. So pull up a chair, grab a cup of coffee and let's talk! - Akshay Arabolu from "Love Me Butter"
Paleo blogger and cookbook author Arsy Vartanian and diabetes expert Mary Kolk join our host Dietitian Cassie along with guest co-host and fellow registered dietitian and real food blogger Amari Thomsen, RD, LDN today in Episode 102 of "Low-Carb Conversations With Jimmy Moore & Friends!" Help us keep this listener-supported podcast on the air if you'd like to see it continue providing sophisticated and educated opinions about the latest health headlines every Friday. CLICK HERE to be a part of the growing list of fans of this podcast who are financially contributing to our success. THANK YOU FOR YOU SUPPORT! This week, our host Dietitian Cassie invited fellow dietitian Amari Thomsen from "Eat Chic Chicago" to be her special guest co-host in this episode. These two RDs gab about an interesting headline in A Dietitian's Confession: Why I’m Changing My Tune on the Paleo Diet by Heather Neal, RD. They are then joined by guest friends Arsy Vartanian from "Rubies & Radishes" (author of The Paleo Slow Cooker: Healthy, Gluten-free Meals the Easy Way and The Paleo Foodie Cookbook: 120 Food Lover's Recipes for Healthy, Gluten-Free, Grain-Free and Delicious Meals) and Mary Kolk from "The Diabetes Lady" discussing the Secret Headline Chipotle adds vegan tofu to their menu as well as whether Paleo promotes a meat obsession, if eating a Paleo diet is really good for you or not, questioning if being fat is the new normal, the problems with our modern diet, reasons why people should try low-carb, and so much more! Plus we've got some great recipes for you, including Amari's Wild Blueberry BBQ ribs recipe and Arsy's Flank Steak with Cilantro Sauce recipe. The time has come to pull up a chair, grab a cup of coffee and let's talk! - Amari Thomsen from "Eat Chic Chicago"
- Arsy Vartanian from "Rubies & Radishes"
- Mary Kolk from "The Diabetes Lady"
- The Paleo Diet: Can It really be good for you? - Is Fat the New Normal? - What’s Wrong With the Modern Diet? Paleo health and fitness bloggers Lindsay Tupper and Liz McGaw join our host Dietitian Cassie along with guest co-host and fellow registered dietitian Stacie Hassing today in Episode 101 of "Low-Carb Conversations With Jimmy Moore & Friends!" We had a lot of fun last week in our epic and historic Episode 100 (with a special appearance by our co-host Jimmy Moore who has been away writing on his next book Keto Clarity: Your Definitive Guide to the Benefits of a Low-Carb, High-Fat Diet) and you'll definitely want to check it out in case you missed hearing Jimmy and Dietitian Cassie speaking with a dozen all-star guest friends for a two-hour health headline extravaganza. If you like what you hear on this listener-supported podcast and want to help keep it going for the next 100 episodes, then consider financially supporting us. CLICK HERE to make a donation towards keeping "Low-Carb Conversations" on the air each week. THANK YOU FOR YOU SUPPORT! This week, our host Dietitian Cassie invited a fellow registered dietitian named Stacie Hassing, RD, LD to join her as guest co-host. These two nutritional health experts talk amongst themselves about a Huffington Post column What Dietitians Eat. Then they welcome in two amazing guest friends in Lindsay Tupper from the "Paleo Fitness Mama" blog and Liz McGaw from the "Paleo On A Budget" blog. Listen to this fabulous foursome give their opinions on a 6-year old who was suspended for not bringing a healthy snack to school, whether the latest winner of The Biggest Loser lost too much weight, how many eggs you can safely eat in your diet, why full-fat whole milk keeps you skinny, and a video that reveals what 200 calories look like. Plus, we've got delicious recipes from Lindsay for Grain-Free Pizza Bites and Liz' Paleo Pancakes. So pull up a chair, grab a cup of coffee and let's talk! - Did the biggest loser contestant lose too much weight? - Eggs and Cholesterol: How many eggs can you safely eat?